Serial Killers hate them! They escape using this one simple trick! Nineteen people have gone missing in Charleston, and the city is starting to get very nervous. The police have set up several search teams, and you’re one of the best. In fact, you’ve found the killer’s lair! Unfortunately, however, this was all an elaborate trap and you are stuck within the dingy confines of The Collector’s sanctum, with only an hour before he returns! Worse, it looks like the reason you haven’t found any trace of the missing people is because he’s been eating them with some really tasty looking Chinese takeout! Work quickly, or he might use you as his next garnish! After finishing Taking Back Charleston, one of the best rooms we’d done on this trip, we were extremely excited to be entering another room at Charleston Escape Room. While the theme isn’t the most original, (I’ve escaped from no less than seventeen serial killers. I counted. They don’t really like us.) I have this soft spot for horror themes that aren’t zombies, so I was still pumped for the experience! Also, this room was purported to be more mature than the usual serial killer thriller, promising a bit more R-rated gore for the discerning horror fan! The Cannibal Collector is a vastly creepy room. Most serial killer rooms just play off the theme with a bit of tongue in cheek jump scares or decorations, but this one ups the ante with really nice props of a more visceral nature. The scares were well implemented as well, and kept my girlfriend and best escape partner running back to me in fright! The game flow works well for the most part, and gives just enough of a clue to keep you working towards the solution without being overly obvious. New surprises abound around every corner, and each room contains several unexpected surprises to enjoy! (or be startled by. Same difference.) Set design is top notch, as we’ve come to expect from these guys, and provides great atmosphere through sound, lighting, and convincing props. The climax is fantastic, and begins with an excellent fake-out moment that kept me guessing at what would come next. 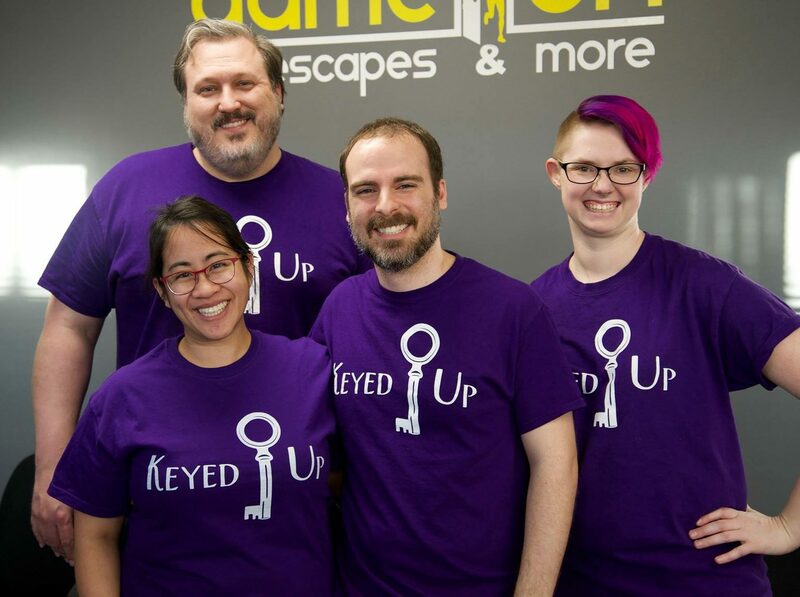 Several excellent puzzles and interactions we hadn’t seen before helped tie this experience together as one we won’t soon forget! One interaction works, and is fairly surprising, but should have some sort of cluing associated with it, as currently, it feels very random and can halt game flow pretty severely. Another puzzle became an unintentional red herring for us, and while thematic, doesn’t quite jive with the logic of the rest of the room, giving off a supernatural vibe in a mostly grounded serial killer adventure. A code during the later game made sense as to which numbers would be needed, but the ordering was foreign to us, meshing poorly with the actual clue. Charleston Escape Game kicks the serial killer theme up a notch with The Cannibal Collector, delivering an immersive horror experience with a bit more bite than your usual room! While the flow trips up from time to time, there a so many great puzzles packed inside, and I absolutely recommend giving it a shot! You can book your time as a main course here! Full Disclosure: Charleston Escape Game provided Media Discounted tickets for our game.